No shop complete without some 'pressed air. 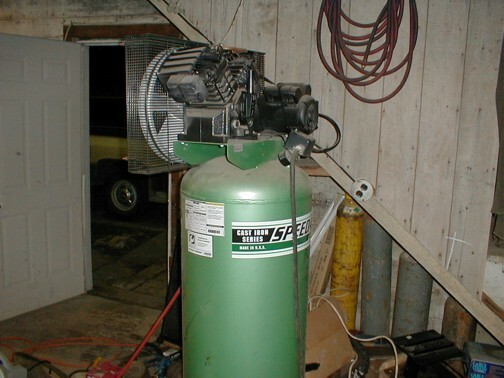 If you plan to use air tools, and use a lot of them, it is good to look for one that has a to of reserve capacity, and the highest CFM rating you can get. Both are 4cylinder, 7.5 HP, 60 Gallon units. The max CFM ratings are 16.8 @ 90psi with a max of 135psi.